First, walking into the facility made for a great experience. The lady at the front greeted me nicely. The place wasclean, organized, and high-tech. The lady who called my name and did my vitals was very friendly and personable. Dr.McKoy was awesome. She took her time to understand my health and allowed me to get through the list of things I’d like to bring up. It was easy to talk with her and she seems like she cares and really wants to help. All the three ladies were very pleasant to interact with. The exam room was very nicely structured and loved the clean and air freshener smell of the restroom. I loved how things like lab orders are electronically sent to the lab of your choice or they actually perform their own blood draw at this facility. The app that I was asked to install in my iPhone was pretty good. I’m able to connect to the staff by form of instant messaging and my exam notes and treatment are all made available through this app which is great and very convenient. I’m glad I’ve found this place. First, walking into the facility made for a great experience. The lady at the front greeted me nicely. The place was clean, organized, and high-tech. The lady who called my nameand did my vitals was very friendly and personable. Dr.McKoy was awesome. She took her time to understand my health and allowed me to get through the list of things I’d like to bring up. It was easy to talk with her and she seems like she cares and really wants to help. All the three ladies were very pleasant to interact with. The exam room was very nicely structured and loved the clean and air freshener smell of the restroom. I loved how things like lab orders are electronically sent to the lab of your choice or they actually perform their own blood draw at this facility. The app that I was asked to install in my iPhone was pretty good. I’m able to connect to the staff by form of instant messaging and my exam notes and treatment are all made available through this app which is great and very convenient. I’m glad I’ve found this place. "I believe successful healthcare is based on a collaborative, trusting and respectful provider - patient relationship." -Elizabeth Elizabeth McKoy joins Carbon as a Family Nurse Practitioner. She believes successful health care depends on a collaborative effort between provider and patient, and strives to create trusting and respectful relationships with all of her patients. She is excited about the role that technology can play in offering more personalized and streamlined care. 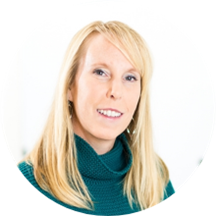 Since receiving her MSN/NP degree from University of Pennsylvania, she has worked in the areas of primary care, college health, drug rehabilitation, and weight management. Elizabeth is a Bay Area native who has lived in San Diego, Colorado, Hawaii and Philadelphia before settling in San Francisco. In her free time, she enjoys snowboarding, camping and traveling. She is an aspiring drummer, curious cook, and has recently started learning Muay Thai boxing and Krav Maga. Extremely rude and condescending. Will not be going back. I was pleasantly surprised by this visit. The office was clean and efficient. I think I waited maybe two minutes. The nurse before Elizabeth as well as Elizabeth were both very friendly. At no point did I feel judged or weirdfor any questions I brought up. Elizabeth explained next steps thoroughly. Very happy to have found Elizabeth. Had a very positive experience. Their app made getting my prescription and any follow up so easy. She was very knowledgeable and easy to talk to. Will definitely be going back. Elizabeth was extremely thoughtful. Talked through everything with me and didn't at all seem judgemental or like she was rushing through the appt. I'm used to doctors basically just dropping in and then trying to get me out the door asquickly as possible so I was really pleasantly surprised when Elizabeth really took her time to gather information during our appointment. Fantastic! Had a great appointment and love the app approach - makes things much more effective. Great visit! She helped me determine what vaccinations I needed for my upcoming travels in addition to my annual physical. She asked detailed questions and got a full understanding of my personal health. Quick easy friendly visit. They pushed their app a little too much for a likely on time visiter but that was the only complaint. Elizabeth was very friendly, helpful and her office was very clean. I would highly recommend Elizabeth to anyone looking for a great OBGYN. Clean and efficiently run office. Elizabeth spent nearly an entire hour with me for just a well checkup. She was thorough and also listened to my questions and concerns. The app is a perk too!